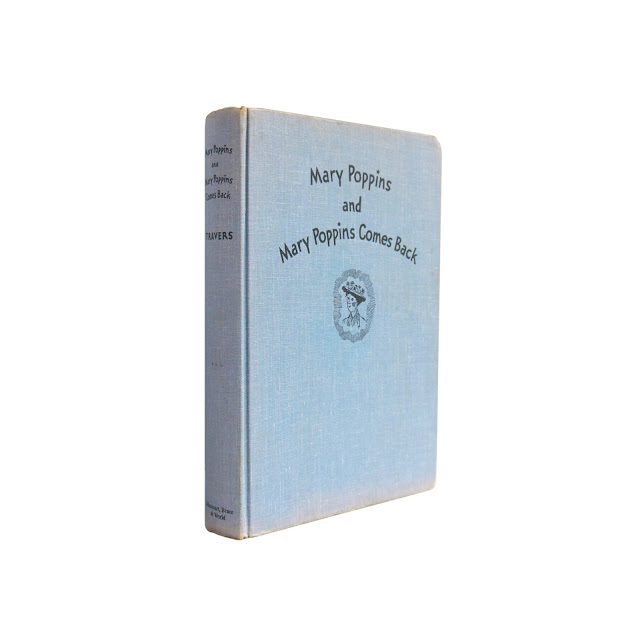 This two-in-one Mary Poppins book is bound in light blue cloth boards, with black lettering on the front and spine and a small cover illustration showing Mary Shepard's depiction of the title character. 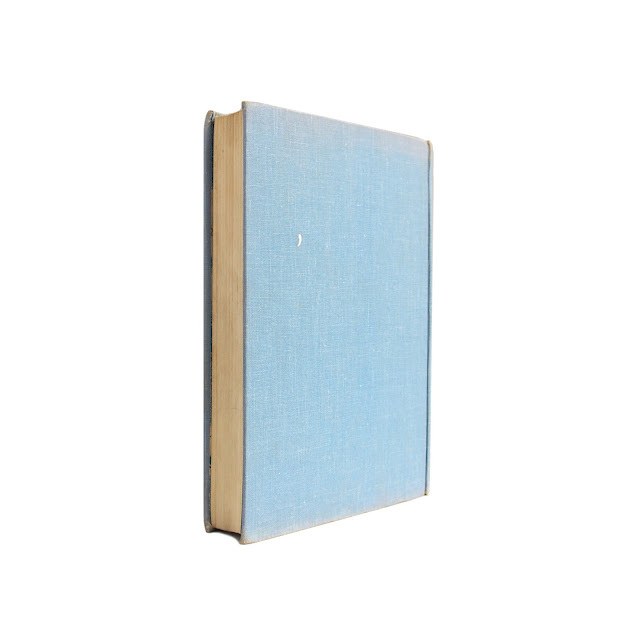 Mild fading at cover edges and spine; inner pages clean, binding tight. 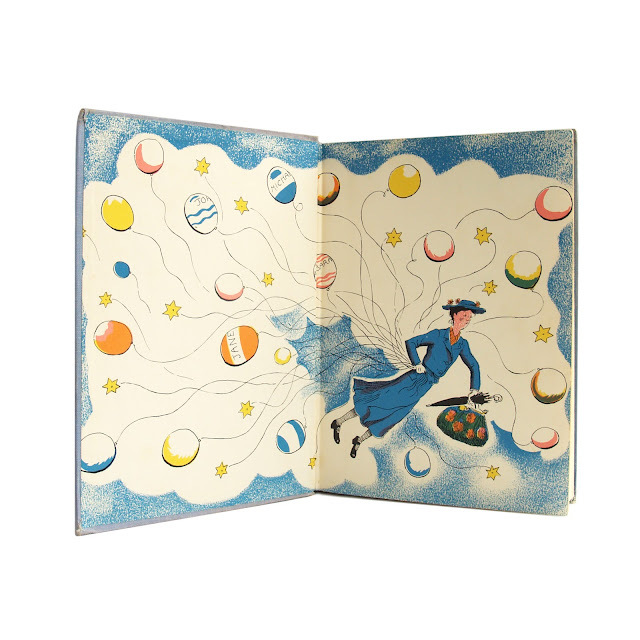 Color illustrations on endpapers. Numerous color plates within, as well as black-and-white illustrations. 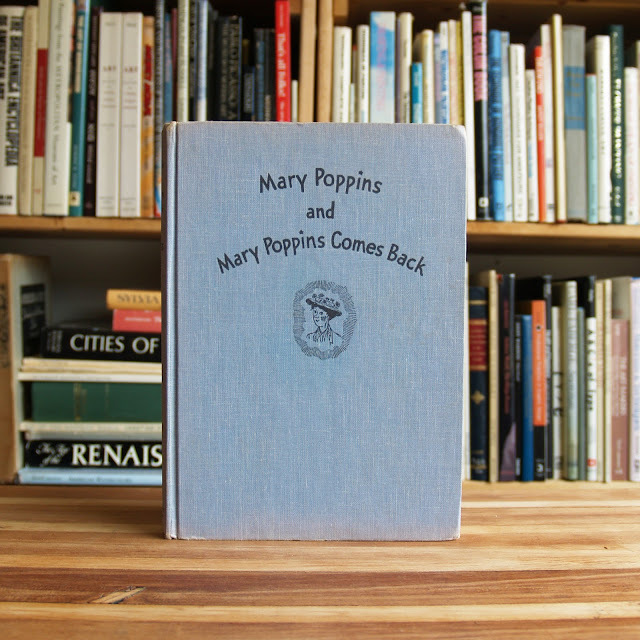 Contains the two books "Mary Poppins" and "Mary Poppins Comes Back" in one volume. 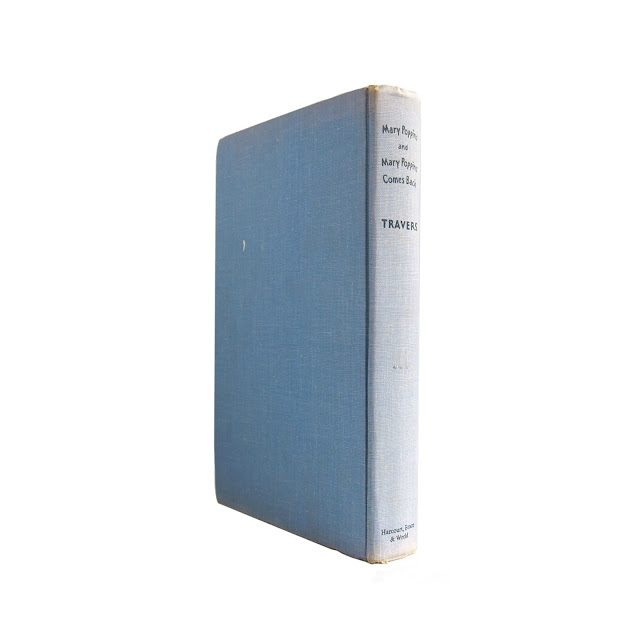 350 pages; approx. 6"x9".